We will pick you up in Mactan Airport or any Hotel within Cebu City Area for FREE but if outside Cebu City Area will incur additional charges. 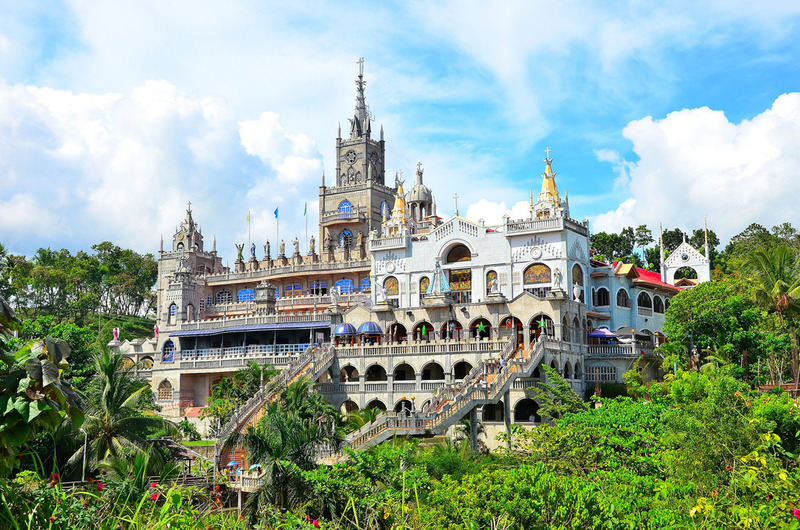 Then after breakfast about 7:30AM, you will start your drive to Simala for about 1 and a half hour. Reaching Simala you will get to tour with this beautiful and very sacred shrine until the noon. Right after lunch you will depart to Osmena peak. You will travel about one and a half hour to reach the peak. You will then witness the beautiful mountain peaks and witness the beautiful sunset for about 2 hours. 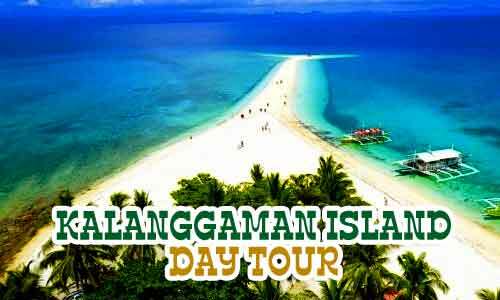 At about 4:30 you will be driving to Oslob and for about an hour travel you will reach Lagnason’s Place Resort for check-in. Lagnason’s resort is a very relaxing and friendly resort. You can use their pool for a night swim or you can also check-out the beaches fronting this peaceful resort. The rooms are air-conditioned and very cozy for a good night sleep. After breakfast around 6:00AM we will take you to the Whale Watching Area. Around 6:10 after a short briefing and getting geared you will then ride a banca (small boat) that will take you where the beautiful giant Oslob Whale sharks are. 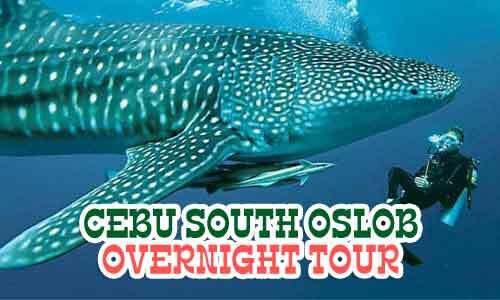 And there for about 30 minutes you can swim and interact with the gentle giants of Oslob. A truly unforgettable experience for the whole family. 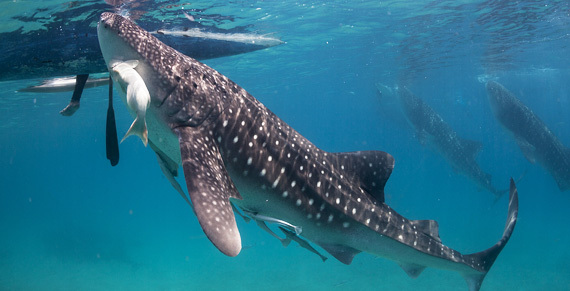 Encounter of this largest fishes are mostly at the top of every tourists bucket list. The activity is very safe, since the boat driver and guides are total experts on swimming and paddling and will assist you all the way for you to have the most enjoyable experience ever. You can ask them to take underwater pictures for you and even help you maneuver swimming with the whale sharks for closer look. 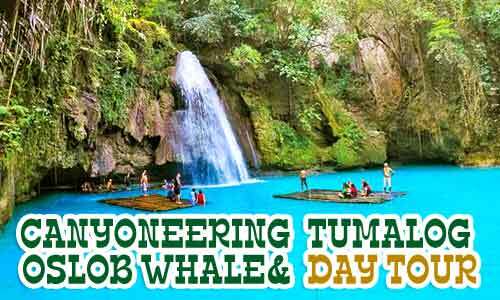 After the whales experience you will be taken to Tumalog falls which is about an hour ride. 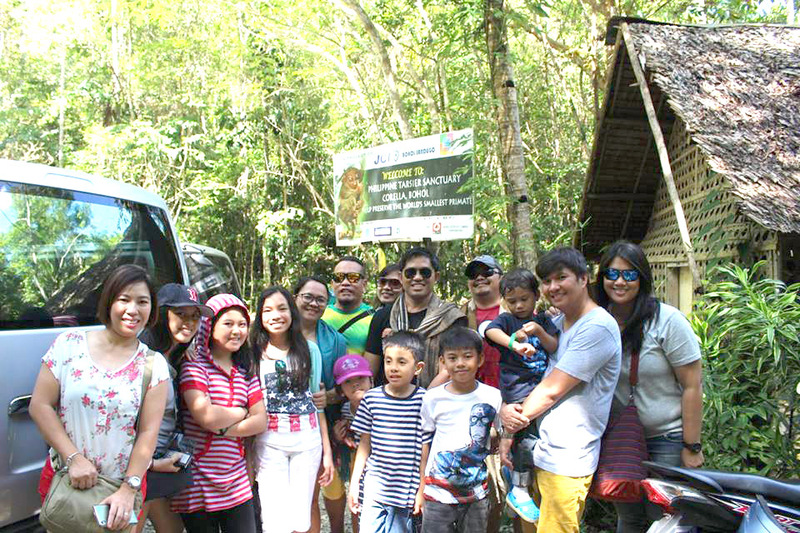 Tumalog falls is a beautiful wall of falling waters perfect for relaxing and picture taking for the whole family. 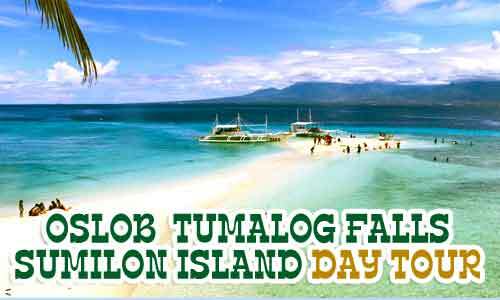 After an hour of enjoying the falls you will then depart to Moalboal where you can take your Lunch. 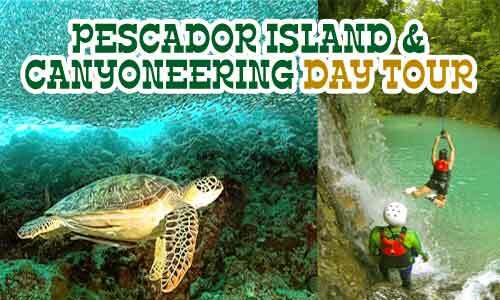 After lunch, we will start the Pescador Island Hopping for the following adventures. Turtle watching, Sardine run, fish feeding, swimming and snorkeling ( an enjoyable experience for the whole family ). Though Turtle watching and Sardine run are not guaranteed ( about 80% guaranteed) since it would depend if the turtles and sardines are there willing to take selfies with you yet the whole experience is still very enjoyable as you snorkel and swim on the beautiful waters of Pescador island. 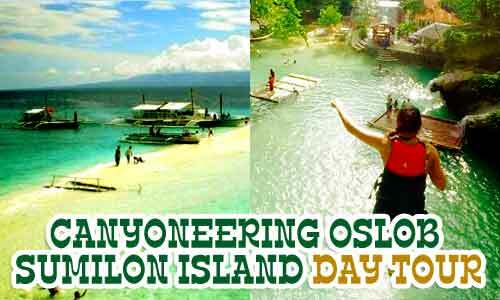 Around 4:00PM we will be going back to Oslob to Lagnason resort to relax. After a good night rest and after taking your breakfast in the resort, you will check out and depart to Badian for the most challenging nature adventure of all. 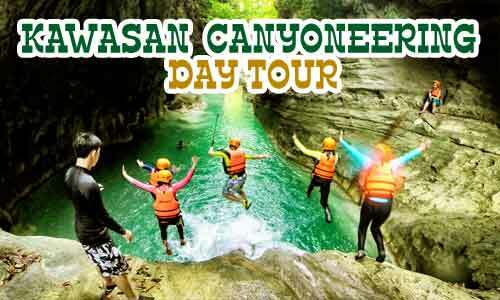 About 8:00AM you will start with the canyoneering activity. The activity is very adventurous where you will be climbing, trekking and jumping off waterfalls as high as 15 feet. This could arguably be the highlight of the whole tour. 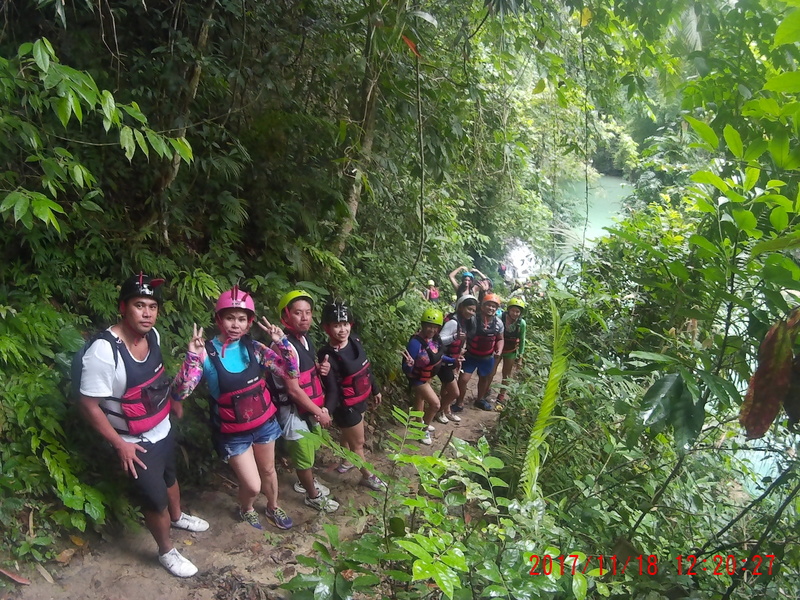 Safety gears and able guides will be provided for you so that you will be able to enjoy the whole experience. Canyoneering would take about 5 hours. 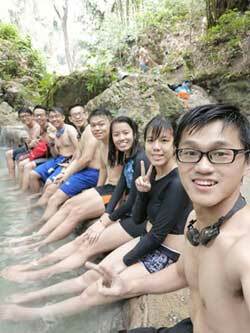 After the canyoneering activity you will have time to bask and swim in the majestic Kawasan Falls until the afternoon. At about 4:00PM we will check out at Lagnason and start our ride to the City of Cebu where you will check-in at Robe’s Pension house (can be changed according to availability) to relax and end the day. We will pick you up at the hotel and travel this time North of Cebu for about 2 hours up to Maya’s port as we ready to head off to Malapascua Island. 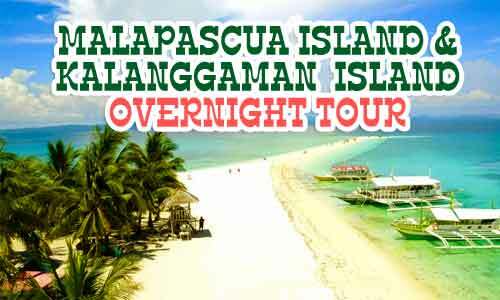 We will ride a boat that will take us to the beautiful island of Malapascua. 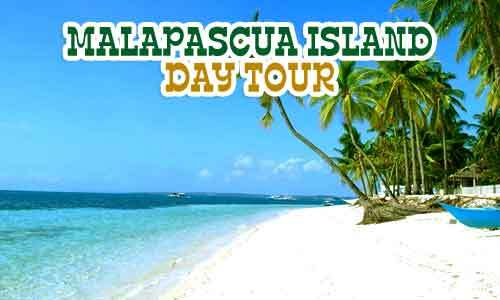 Upon reaching Malapascua island you will start the tour ( Bounty Beach, Langub beach, coral garden and dive to the Japanese ship wreck site ). 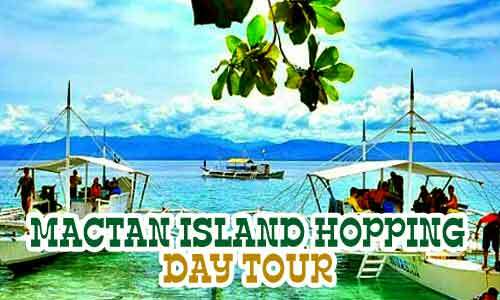 The whole island tour will amaze you of how beautiful and clean this storied island is. The little boracay of the south as they call the Malapascua island. 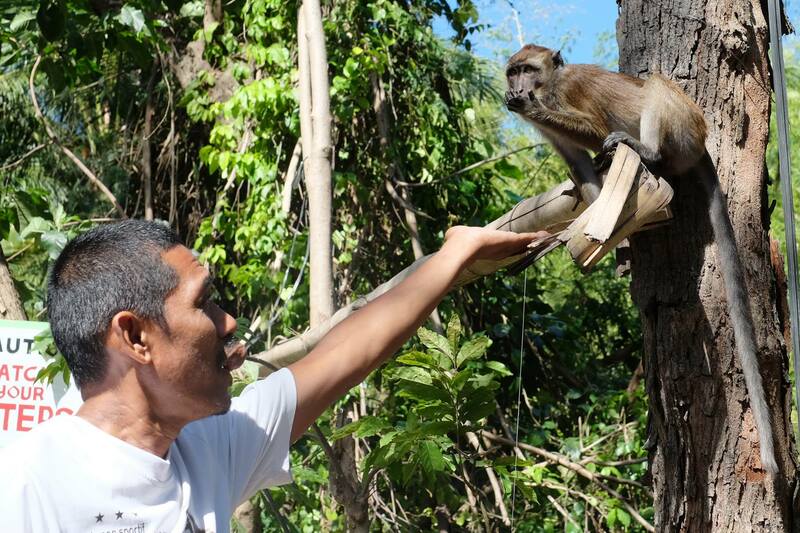 An island life adventure for the whole family. You will avail then of our FREE lunch at Malapascua, a sumptuous lunch ( pork and seafoods ) for the whole family and guests. You can then relax in the white sand beaches for a quick swim and selfies and around 4:00PM we will ride a boat to Mayas port and head off back to the city. 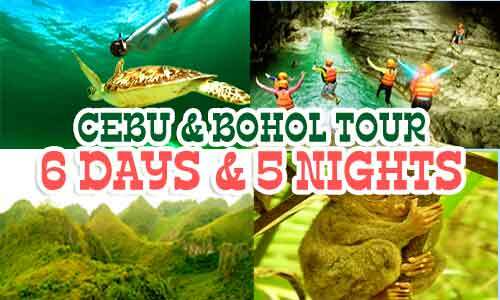 We will pick your group up and at around 8:00AM we will depart to Bohol via Oceanjet (fastcraft). 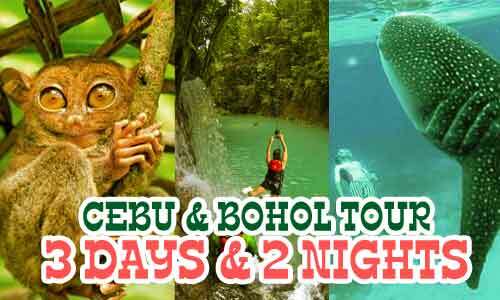 The country side tour in bohol will start around 10:00AM ( Blood compact site, Baclayon church, St. Peter’s ruins church, Bohol biggest snake, River Cruise Floating Restaurant with FREE Buffet Lunch, Bilar Man-mad Forest, Tarsier ( smallest monkies ), Chocolate hills and Butterfly garden. After a day of historical and enjoyable tour at this beautiful island of Bohol, around 5:30PM we will ride ( boat ride ) as we head home to Cebu City. 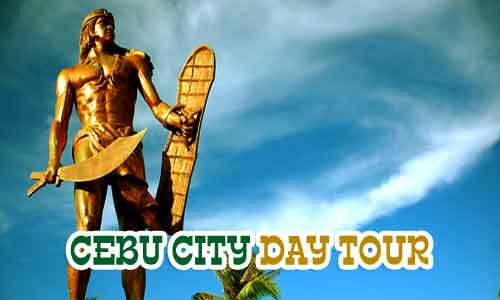 We will pick you up around 9:00AM and start the Cebu City Tour. 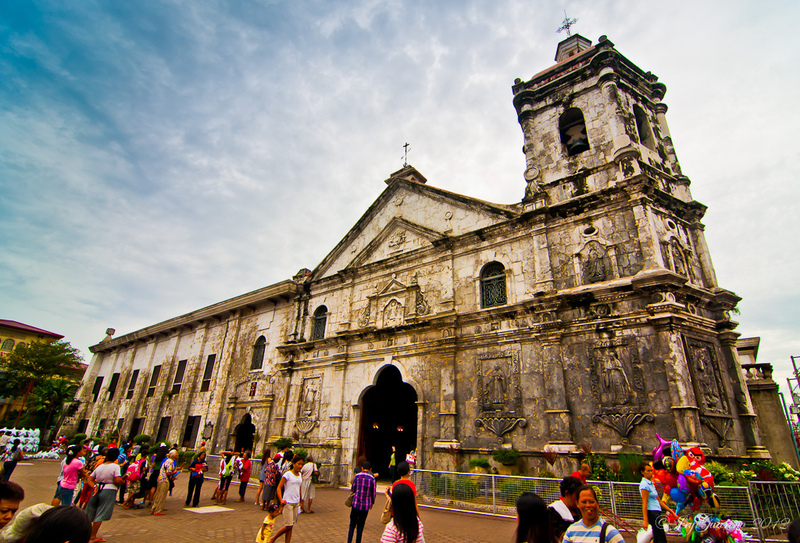 Historical and religious places in Cebu will be visited. ( Fort San Pedro, Magellan’s Cross, Santo Niño church, Cebu Cathedral, Cebu Heritage monument, Yap San Diego House, Taoist temple, Mactan shrine and Pasalobong shop ). After a day of relaxing and educational tour at the queen city of the south you will be dropped off to your hotel or to the airport. 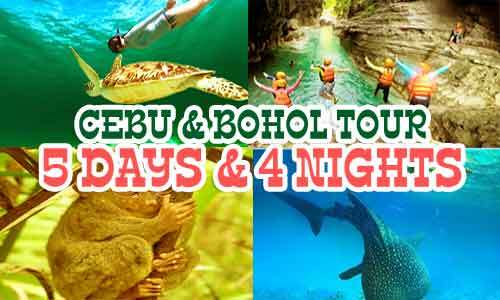 And that would end a 6 Days and 5 Nights most unforgettable, relaxing , enjoyable, exciting and safe Cebu and Bohol tour package. 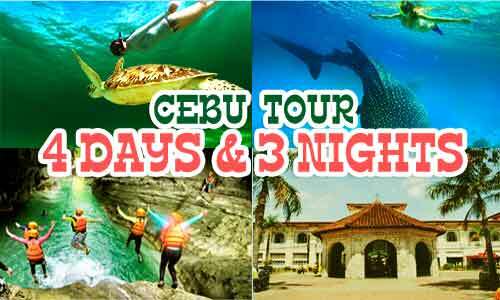 • For foreign guest, it has an add-on fee of P500/head in whale shark and not included in this package.